Vietnamese educational group Egroup is pioneering the application of modern technology in the country’s education and training to create a future generation of global citizens. 2018 saw acknowledgement of Egroup’s Apax English chain’s initials achievements, with it receiving two awards: Excellent Brand and Sao Khue 2018, which recognize notable contributions by companies in the development of the software and ICT industries in the country. During the past decade, Egroup has not only invested in building a high-tech educational ecosystem from kindergarten to university level but also healthcare and human resources development projects. After two years of operations, Apax English has 60 centers with 40,000 students in 17 cities and provinces. With a strategy of “Borrow-Reach-Lead”, the chain has surpassed its major rivals and become the leading English studies chain in the country. 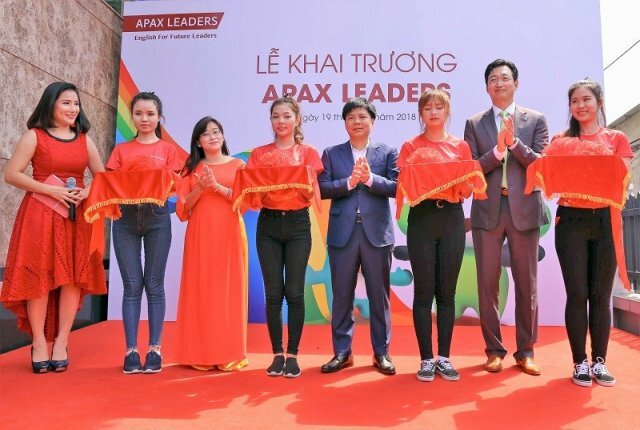 The first Apax Leaders center, an advanced version of Apax English, was officially launched on May 19 to win over tough customers in the country’s south. Five Apax Leaders centers in Ho Chi Minh City will provide courses that meet US standards combined with modern teaching methods. New products include Apax New and Apax Premium. Apax New will help learners gain YLE Cambridge English certificates and Apax Premium will provide interesting English-learning experiences through STEAM courses. Apax Leaders is expected to open 300 centers around the world in the time to come, which will see the Vietnamese educational brand reaching out to the world. In its subsequent strategy, Egroup plans to help Vietnam’s younger generation use English fluently as their second language. The group has made efforts to provide modern educational products, establish good learning habits, and help the younger generation believe in themselves so they may become global citizens in the future.